Interviewer’s Note: Dr. Eve’s responses represent his own opinion; he is not speaking on behalf of his employer. 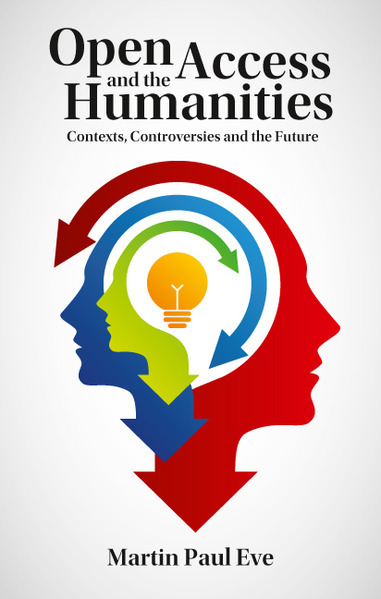 Visitors to this page are encouraged to consult Dr. Eve’s newest book, Open Access and the Humanities: Contexts, Controversies and the Future (Cambridge University Press, 2014), which may be read freely online. 1. Tell us about yourself. Where, when, and how did you first learn about open-access publishing and the Open Access movement? How did your talents, passions, educational experience, and professional interests lead you to a lasting interest in Open Access? What do you consider to be the most important experiences of yours with regard to open-access scholarship and Open Access advocacy? I am a Lecturer in English Literature at the University of Lincoln in the UK. Within my own discipline, I specialize in contemporary American fiction, with a particular emphasis on the legacies of postmodern literature. As you note, though, I also have an enduring interest in scholarly communication and, within that field, in open access. Finally, before and during my undergraduate and postgraduate studies I worked as a computer programmer, so I also have a degree of technical competence. When I learned that academics gave their work to publishers for free but then it was locked away behind paywalls, with the consequence that we can't afford all the work we need to effectively teach and research, I was perplexed. I first became aware of open access during my Ph.D. research. A group of colleagues wanted to establish an interdisciplinary postgraduate journal and, as I had previously worked as a programmer and wanted to be involved, I ended up sorting out the technology. In the course of my research into journal software, I encountered PKP's Open Journal Systems software. I was already familiar with the free and open software paradigms but it didn't take me long to realize that the “open” here referred to openness in more than one way. It wasn't just the computer code but also the content that was designed to be “open.” This was an eye-opener in some respects. Although I knew it at a fundamental level, the fact that research work was paid for by libraries was not something that had ever troubled me. When I learned that academics gave their work to publishers for free but then it was locked away behind paywalls, with the consequence that we can't afford all the work we need to effectively teach and research, I was perplexed. A combination of technological and economic thinking led me to the conclusion that something was radically wrong with the way in which we disseminate work that I felt should be for the public good. Indeed, I think it's important to stress that OA isn't applicable everywhere – cultural producers who need to sell their outputs are not so well placed to give work away – but academics employed at universities are usually different; they are paid a salary and can afford to give their work away and the incentive is to be read, not to sell. In terms of my most important OA experience, I think that I most enjoyed being called to give evidence to the UK government's Business, Innovation and Skills Committee Inquiry into Open Access in 2013. While, if I was asked again, I would have now a different and better answer to the question about alternative business models for open access, I was particularly pleased to bring the issue of non-disclosure agreements as a potentially anti-competitive practice to the committee's attention. As a closing remark for this first question, though, I'll just add a little on my orientation. I am vigorously in favor of open access, but I remain pessimistic. Changing elements of academic social practice can take decades to achieve and although we have reached various tipping points of awareness, the future is not set. To this end, I work tirelessly to push OA but also recognize that pragmatic compromise is often more likely to secure the goal and incrementally bring the research community on board. Pessimism of the intellect, optimism of the will. 2. Would you mind sharing some information on the Open Library of Humanities (OLH)? Specifically, when and how did you and Dr. Caroline Edwards decide to launch the project? How does the OLH model differ from open-access publishing initiatives in other disciplines, such as the Public Library of Science? How does the OLH model reflect the unique concerns of humanists regarding open-access publishing? What are these concerns? What are your biggest hopes for the future of the OLH? The OLH project was first proposed at the beginning of 2013 after a Twitter conversation involving many people. I put up a website called “PLOHSS” – a clear and perhaps cheeky reference to the Public Library of Science – in which I called for those who wanted to build a Public Library of Humanities and Social Sciences to get in touch. Within a few hours I had received several hundred email replies from interested parties. It's important to stress that our initial thinking over those first few months was naïve. We wanted to operate on an article-processing-charge basis. We had only plans for a new megajournal. We didn't know what the economics would look like. We radically underestimated timescales. This didn't matter, though. We went ahead with planning an idea that wasn't fully formulated and people became excited. We gathered prominent academics and librarians onto our committees and posed them a series of questionnaires. Over the next year, we reformulated the idea and came to what we have now. The OLH as it exists today, and which should fully launch this summer, is a gold open access, peer-reviewed, internationally-supported, academic-led, not-for-profit, mega-journal, multi-journal and books platform for the humanities. It is funded by an international library consortium and so has no author-facing charges. As I'm sure your readers are aware, open access refers to peer-reviewed academic research that is available freely to read and re-use online. Gold open access, in particular, means that this service is provided by publishers. This usually means that a new business model is needed as if the material is free to read, it cannot be sold as a subscription. Many publishers are implementing this through article and book processing charges (APCs and BPCs). These, though, are often unaffordable in humanities disciplines. This is because research work in our disciplines is far less often supported by grant funding and because APCs concentrate costs. To understand this, consider the subscription model. In this mode of operation, many libraries pay a relatively modest amount (per publication) so that the publisher has enough revenue to cover the labor of publishing and to create a surplus (or, often, profit). This is, in other words, a cost pool. APCs are different. APCs concentrate costs, making single institutions bear the total cost of publication. If we were able to switch to this system tomorrow, it might be OK. After all, there is enough money in circulation for publishers to exist and for some to do very well indeed. In transition, though, this model creates problems that are more acutely felt in disciplines with less funding. Martin Eve's new book, Open Access and the Humanities, is free to read online but a paper edition can be purchased. The OLH works differently, with a small contribution from a large number of libraries covering the costs of publication, essentially re-creating a cost pool. The OLH thereby offers an extremely cost-effective solution for open access that means that no single institution bears a disproportionate cost. Participating libraries not only invest in a community-shared service that would not otherwise be feasible, but are also given a governance stake in the project. So, that's the first important difference: we have an innovative economic model that is better suited to the humanities disciplines. The second difference is that we are not just launching new journals. The “multi-journal” component of the description that I gave above refers to the fact that existing publications can come on board our model if they pass the scrutiny of our academic and library committees. In this way, we have the potential to convert existing journals to gold open access, with no APCs. This is perhaps my largest display of pessimistic-optimism. I do not believe there will be enough goodwill from the academic community to publish solely in new OA venues. The counter-incentives are too strong. I also do not believe that hybrid options from existing publishers on APC models will do the trick. If we want OA, then, we need to do it pragmatically. If we can convert existing venues that are believed to be prestigious in the eyes of researchers and simply make them OA, then we don't need to wait on researchers to change their practices (the decade-long cultural shift that I referred to above). In this way I can be pessimistic about changing the minds of every researcher while being optimistic that we can still achieve open access. 3. In your book, you discuss some of the major differences that exist in research publication between the humanities and the natural sciences. Would you care to highlight some of these briefly? Is it feasible for scholars of these two disciplinary groups to work together on certain issues related to scholarly communication, whether this would lead to greater support for open-access publishing or not? If so, where does the capability for collaboration exist? What concerns are better left to the practitioners of each discipline exclusively? I think the division between the natural sciences and the humanities is, in general, a false one that is encouraged as though it were healthy competition by those who hold the purse strings. It is not. It fosters division where none need exist. After all, historically, much scientific practice derived from an empirical turn in philosophy. The humanities today provide routes to understanding histories, phenomena, artifacts and cultures. The sciences do likewise. These disciplines have respectively different paradigms within which they conduct their practices and often very different methodologies. I am strongly opposed, though, to the idea that we should celebrate science while merely justifying the humanities, but also, conversely, to the often false claims that the humanities hold some key, privileged insight into life. It is only through a collaboration of the diverse practices that thrive in the contemporary university that we will achieve the maximum potential of the institution. I have yet to see any compelling argument, aside from pragmatic economics (an argument made frequently by learned societies with vested interests), for why the humanities should not follow the sciences with respect to OA. Scholarly communication is one of the areas, though, where I think the differences in practice are distinctly overemphasized. Yes, the humanities publish more slowly and the publications remain relevant for a far longer period. Likewise, the humanities often publish research at book (monograph) length. Both of these factors alter the economics of research publication. However, fundamentally, academic humanists and scientists share the same goal: to be read by the widest audience of peers and the public. Across both spheres, this predominantly takes the form of the dissemination of words, images, tables, graphs, equations and, in some cases, data. The internet is the obvious candidate medium through which to achieve this goal in the twenty-first century. I see no reason why, in some cases, collaboration on this shouldn't be possible between the humanities and the sciences. Where I think there may be more ground for caution, however, is when a specific discipline tries to take the moral high ground and tells another how to do its thing. For instance, I think that Patrick Dunleavy presents an overly simplistic vision for how research should look across all disciplines, without consideration of what the communication is supposed to achieve in each area. Let's not pretend that the humanities always work on the same methodological hypothesis-driven basis as the sciences. But just because the measurement systems for science don't then value the cultural knowledge that the humanities bestow, often in niche areas, let's also not pretend that this is the fault of the humanities, rather than the measurement. Likewise, though, I do find myself in a state of frustration when this type of argument (“don't tell us how to do our job”) is thrust back against open access from the humanities. Many say: “it's suited for science, but not for us”. I have yet to see any compelling argument, aside from pragmatic economics (an argument made frequently by learned societies with vested interests), for why the humanities should not follow the sciences with respect to OA. 4. You write that “as more researchers produce material in the ever more competitive quest for jobs, the need and desire to publish in top journals is increased. Because these journals will then have a continual supply of high-quality material, it is imperative that libraries subscribe to them. As this material overflows through rejection and cascades down to the next level of ‘mid-range’ publications, libraries find that there are also far more venues to which they must subscribe” (page 15). You also mention that the “print runs for academic monographs in the humanities … are extremely low: around 200-250 is the figure that is usually cited. This means that presses often have returns on volumes and the margins are far lower than in scientific journal publishing” (page 15). What are the consequences of these facts for the relationship between libraries and humanistic researchers in the academy? If libraries are indeed compelled to hold onto influential scientific journals, no matter their expense, won’t academic monographs in the humanities become increasingly vulnerable to cutbacks as journal subscription expenses increase far above the rate of growth in library budgets? In short, do academic humanists stand to lose influence – both in the public sphere and within the broader academy itself – if traditional publishing models dominate the humanities research landscape? Open access seems to me to be a logical way out of the extinction that the humanities face in an era of austerity and financial cuts, as well as potentially contributing so much to the public good. The short answer to these questions is: yes. Library budgets at institutions are holistic and expenditure in the humanities is conditioned by the total environment, including serials purchasing that has risen at hyperinflationary rates for several decades now. That said, opinions on what constitute the “crisis” for the monograph, if there is one, vary from person to person. Geoff Crossick recently wrote a report for the Higher Education Funding Council for England (HEFCE), which I would recommend that everyone read; it is a judicious, cautious but future-oriented approach to OA for books. More interestingly, perhaps, though, is the fact that Crossick questioned the rhetoric of crisis far more than many before him. Consider, for instance, the following question: when we say there is a “crisis” of the monograph, do we mean that we can't read them? Or do we mean that researchers, who need them for their jobs, can't publish them? Or maybe, we mean that they are not financially sustainable for for-profit publishers in their current form? In any case, this is not a single crisis. One form is a demand-side economic crisis of access, the other is a supply-side crisis of accreditation (hiring/tenure etc.). Both are economic problems, but they can be fixed with the book enduring in between. It's when we try to fix the dissemination problem and the accreditation problem at the same time that transition becomes hard. With respect to a final answer on the question of influence, this depends upon whom you ask. Many defend the prestige of conventional presses on the grounds that they are trusted and read by the peers that they value. Fair enough. I think, though, that the crisis of the humanities is a crisis of public exposure; I think the humanities must be public and visible. This isn't to say that it has to dumb down. It just needs to be clear what value it can add and make that visible. Open access seems to me to be a logical way out of the extinction that the humanities face in an era of austerity and financial cuts, as well as potentially contributing so much to the public good. 5. Having earned your doctorate in 2012, what would you consider the role of early-career researchers to be in creating a more sustainable – and, perhaps, more open – system of scholarly communication? First off, and with no disrespect to the question, I don't much like the term “early-career researcher” (ECR). It's often a nominative falsehood used to justify contingent labor, as careers are so hard to come by in the academy and job competition is so fierce. It's then used, internally, to delineate more senior staff from their junior colleagues and works against a collegiate atmosphere. That said, I know what you mean. ECRs have both the most to gain and the most to lose from being at the forefront of changes to scholarly communications. They have the most to gain because they have their entire careers ahead of them and will have to work within any new paradigm. It's an exciting time to be thinking about how we communicate our ideas. Sometimes, but not always, ECRs can be more idealistic than those who have climbed the full length of the academic ladder. Again, this is a positive area in which active engagement can bring about real, tangible change. At the same time, though, ECRs are at the sharp end of the accreditation spectrum, often being judged by senior staff who are sometimes, but again, not always, more conservative. The pressure to publish in conventional, recognized (and non-OA) venues, therefore, can be debilitating. My advice is: do both. Be radical and idealistic but pragmatic and conservative. Work to change things. At the same time, of course, don't compromise yourself. The basis of all freedom in our society comes from the underlying economic security of work. If you need an academic job, as I did, then do what the hiring panel will want. Just remember, when you've made it and have that security, not to pull up the ladder and lose the desire to change things for the better. Dr. Martin Paul Eve is a lecturer in English at the University of Lincoln. He is the author of two books, Pynchon and Philosophy (2014) and Open Access and the Humanities (2014), and editor of the open-access journal of Pynchon scholarship, Orbit. Dr. Eve has appeared as an expert witness before the UK House of Commons Select Committee BIS Inquiry into Open Access, and has also served as a steering-group member of the OAPEN-UK project and as a member of the HEFCE Open Access Monographs Expert Reference Panel. Alongside Dr. Caroline Edwards, he is Co-Founder of the Open Library of Humanities. Scott Richard St. Louis is a member of the North American Coordinating Committee of the Right to Research Coalition and is an intern for SPARC, the Scholarly Publishing and Academic Resources Coalition. 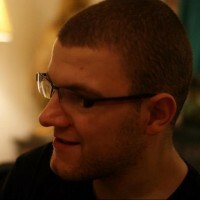 He also serves on the Early-Career Researchers’ Forum of the Open Library of Humanities.